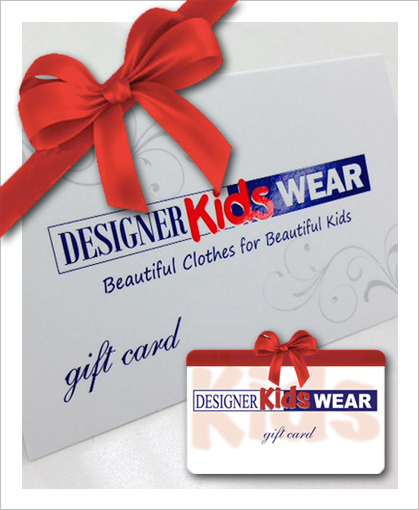 Our goal at Designer Kids Wear is to provide our customers with services that simplify the shopping experience. A skilled in-house seamstress can customize any garment with sartorial excellence. Whether garments require a basic hemming or a complete restructuring, Designer Kids Wear can alter any piece to perfection. Additional charges may apply. When shopping in-store, gift receipts and complimentary gift packaging is provided. A perfect way to please for special occasions, holidays or just because… Gift Cards are packaged in individual gift bags and can be purchased in-store. Gift Cards can only be redeemed in-store.